Taxis in Bogota are now required by local law to modernise by switching from traditional taximeters to intelligent devices tablets or smartphones. The system was launched on March 28, 2018, and the deadline for cabs to comply is the 28th of May, 2018. After this date, any taxi without it will be considered illegal. According to the Bogota’s District Mobility Ministry, by mid-March, out of 50,000 registered taxis in the city, more than 22,000 already have the new system in place, but that means over half are still yet to introduce the new measures. 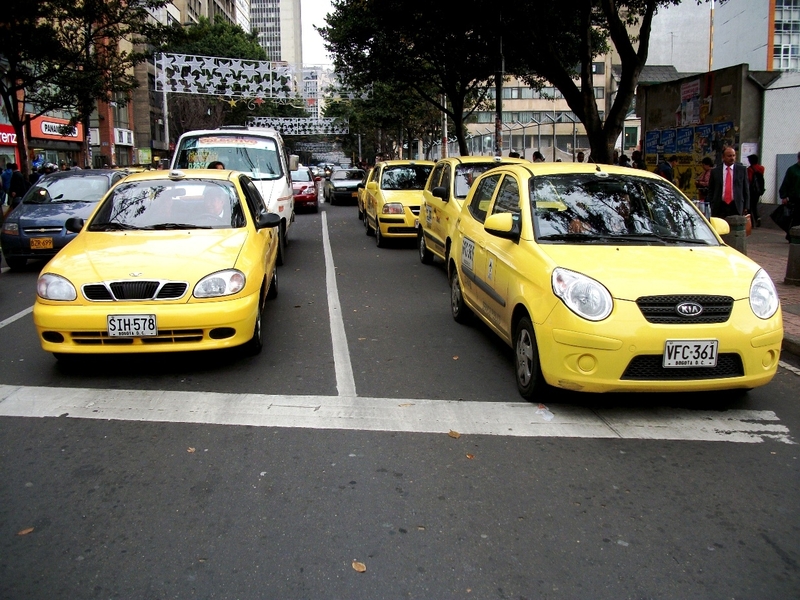 In Bogota, the taxis are organised in different companies and unions, with a significant number of them against the implementation of the new technology. The taxi drivers and companies in Bogota claim that the new technology is inadequate for day-to-day operations. One argument is people using the service will not always have all the necessary information to calculate the right fare or want to make stops along the way. In addition, taxi drivers are concerned about their security, some claiming that having the devices could make them susceptible to crime as people could look to steal them. reason why they are opposing is the supposed cost increase for both drivers and users. For the drivers, on top of paying their normal fees (concession fee, insurance and registration), they have to acquire the devices, and for clients the new prices set are higher, making the service less affordable and competitive against providers such as Uber or Cabify, which are not regulated by Bogota’s transport authorities and do not have to pay such fees. The fallout has seen numerous strikes and protests around the city in recent months, though despite the pressure the authority has not made concessions. As an attempt at a compromise, some taxis have installed new metres that give a receipt with the name of their company and driver but are still fighting against the new system promoted by the local government. Each vehicle will have two tablets/smart devices - one for the user and one for the driver. Once you get in the cab, you will have to enter the exact address you are going to. At this point, the final tariff will be displayed so that the user knows how much they have to pay. The technology installed on the devices in the taxi will automatically calculate any congestion surcharge and distance to display the final fare to the users. Any additional charges are illegal, except for luxury (bigger cars) services that have higher rates, though the price will be displayed on the tablet at the beginning of the journey so there are no surprises. For expats, and especially tourists, this also gives them an ease of mind as there are no unpleasant surprises. Passengers unfamiliar with the use of technology (elderly and people that can’t read or have visual impairments). Unfair competition by app-based service providers that are not regulated by the authorities, as they do not have to pay the fees imposed by the government and industry making their service cheaper. For all of the above options you need to download the app and register a credit card. They are all available for Android and IOS systems.